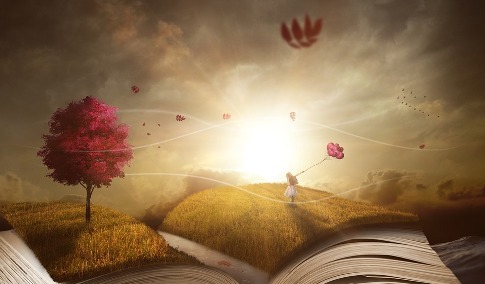 Through the right books, you can take flights of creativity, explore new horizons and let your imagination run wild. If a simple book can do so much, then imagine what a book on fantasy, travel, and graphics can do. A good book falling in this genre is an interesting read not only for the fantasy geeks, travel enthusiast, and amateur graphic artists but for everyone. Thus, we have compiled a list of books for you to read next, divided in through the genres and shortlisted by numerous recommendations and ace ratings. Fantasy is a diverse and wide-ranging genre that incorporates all things that the mind can conjure up, basically all things, places, and people that aren’t a part of reality. Explore how far the human imagination can go with this interesting list of books that come highly recommended especially for you. Travelling is not an opportunity that many have, but it is definitely something that is essential for the personal growth of a person. It opens a person’s eyes to new places, people, cultures, traditions, food and a lot more while allowing you to look at them from a completely different perspective. However, who said you can only travel physically? You can go on a new journey and a new adventure every time you open an amazing book about a new place. If you want to try that then give these books a read. Aesthetic beauty cannot be confined to a single thing or a single form of art. And a wide branch of art is graphics that are an equally wide field. You might not understand exactly what we are talking about, so why don’t you learn more about graphics for yourself, from the comfort of your home. Take out the time to go through the books we have listed below, and allow yourself to be blown away by the aesthetic beauty and finesses of the graphics explore in these pages. Let us know what you think about these books after giving them a read.